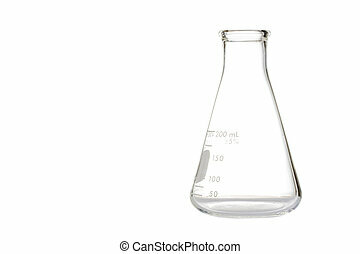 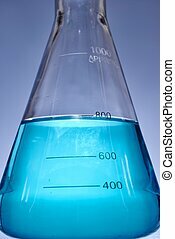 Erlenmeyer flask. 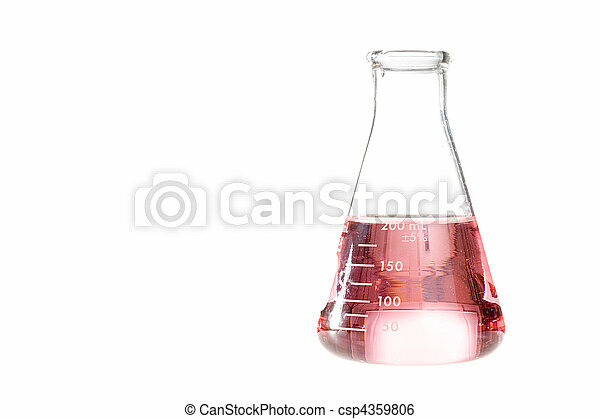 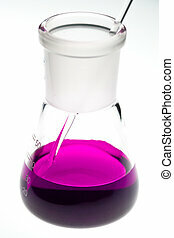 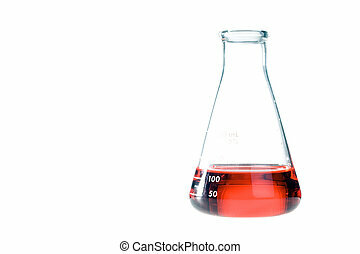 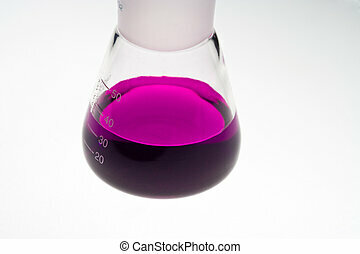 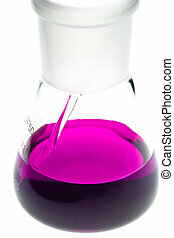 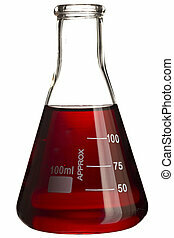 A red liquid in an erlenmeyer flask isolated on a white background. 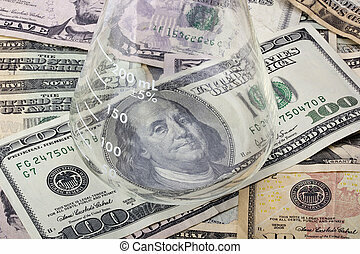 An erlenmeyer flask standing on various denominations of American money. 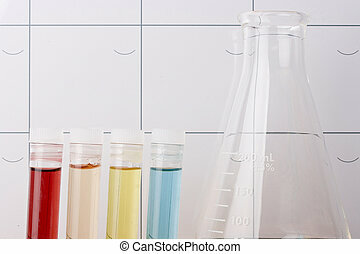 Test tubes and erlenmeyer flask in front of a calendar. 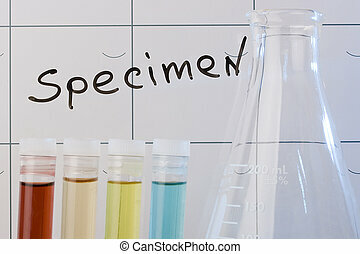 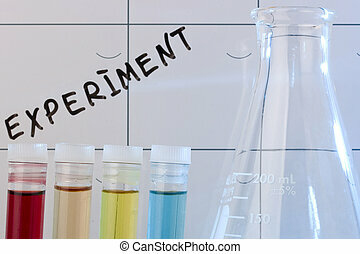 Test tubes and erlenmeyer flask in front of a word "Specimen". 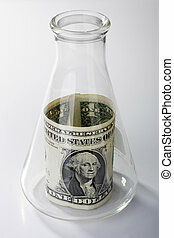 A one dollar bill in an erlenmeyer flask on a white background. 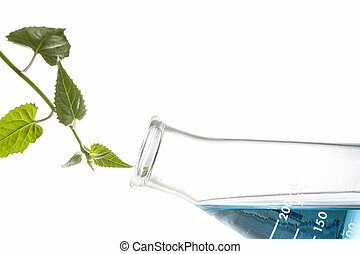 Green leaves next to an erlenmeyer flask with blue liquid in it. 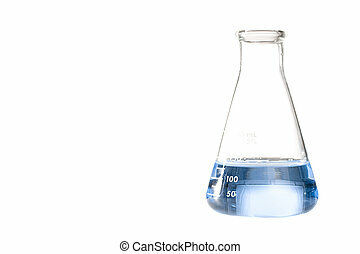 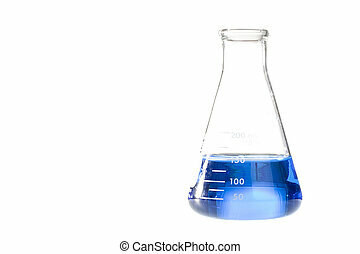 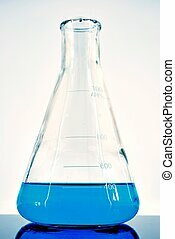 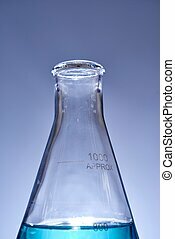 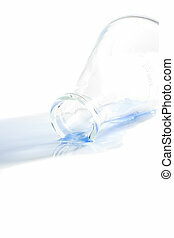 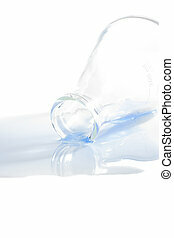 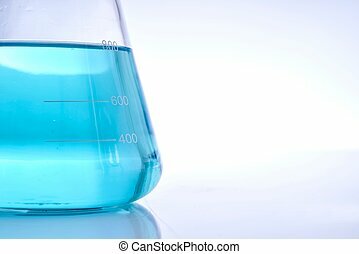 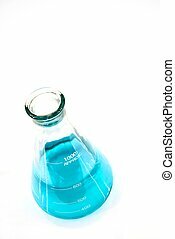 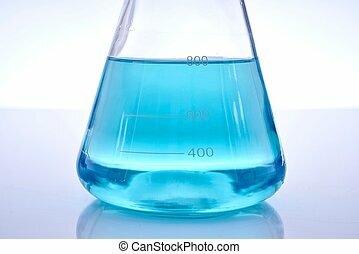 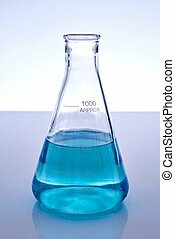 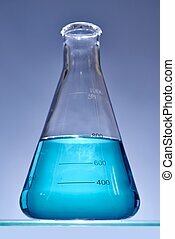 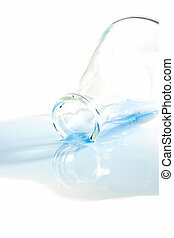 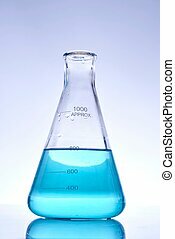 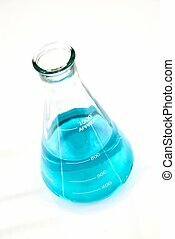 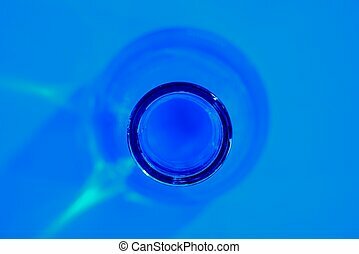 A blue liquid in an erlenmeyer flask isolated on a white background. 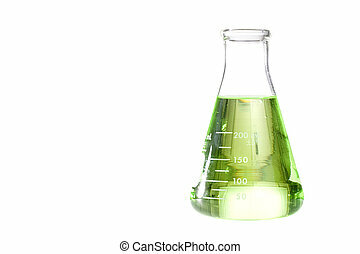 A green liquid in an erlenmeyer flask isolated on a white background.